Home · News, Uncategorized · 2018 Washington County Republican Convention & Candidate Forum! 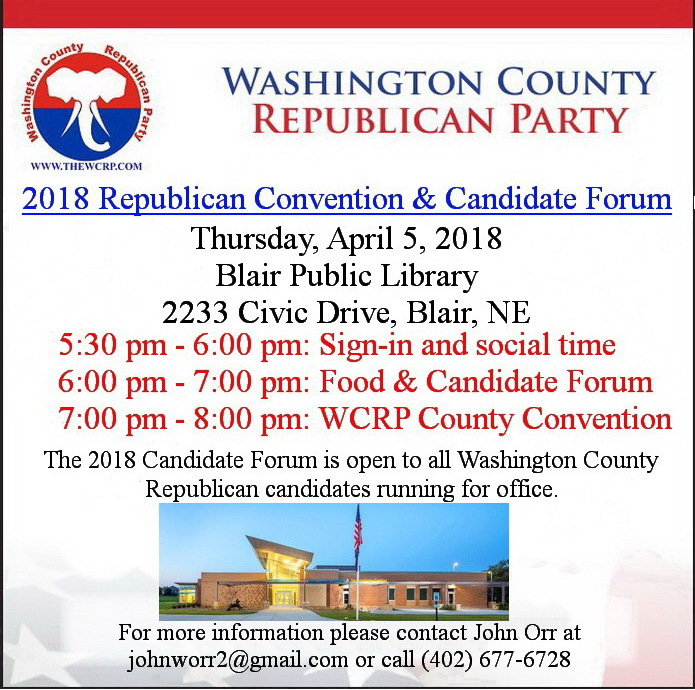 Please plan to attend the 2018 Washington County Republican Party Convention & Candidate Forum. Food will be provided. This is a great opportunity to talk with and hear from all Republican candidates running for office in 2018. From Governor, US Senator to County Supervisor and School Board. Sign-in & social time begins at 5:30 with the candidate forum starting at 6:00 PM. (a free will $10 donation is encouraged to help cover expenses) The WCRP will hold their county convention following the forum after 7:00 PM.